BEIJING — Beijing and other cities across northern and central China were shrouded in thick smog Monday, prompting authorities to delay dozens of flights and close highways. The Beijing Municipal Environmental Protection Bureau extended an "orange alert" for heavy air pollution for three more days. 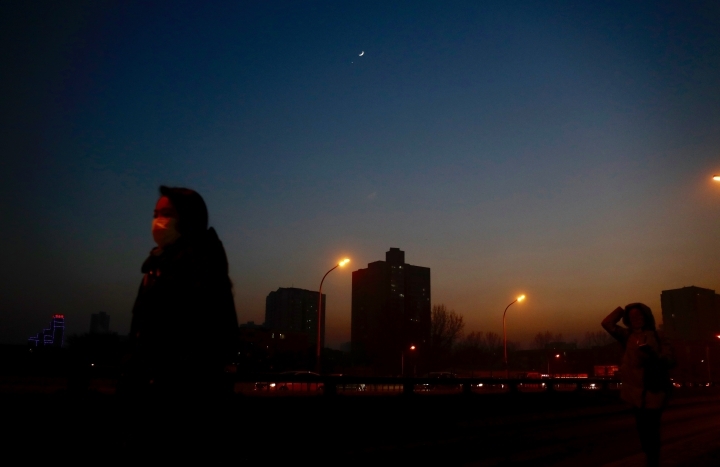 Beijing's smog had initially been forecast to lift by Monday. The "orange alert" is the third level, preceding a "red alert," in China's four-tiered warning system. On Sunday, 25 cities in China issued "red alerts" for smog, which triggers orders to close factories, schools and construction sites. 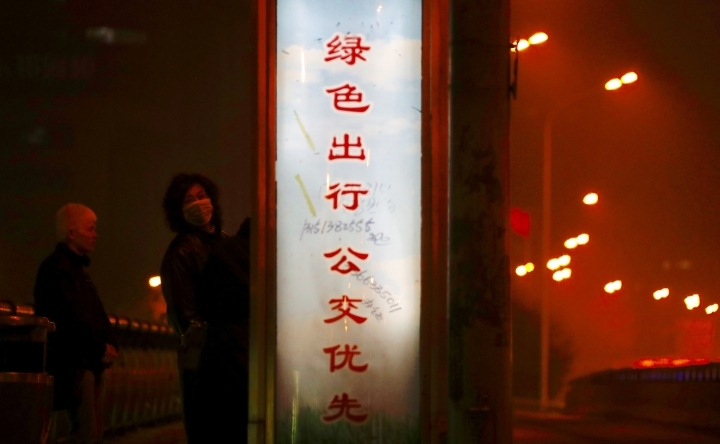 Air pollution readings in northern Chinese cities were many times above the World Health Organization-designated safe level of 25 micrograms per cubic meter of PM 2.5, the tiny, toxic particles that damage lung tissue. The readings exceeded 400 by Monday afternoon in several cities in the northern province of Hebei. Expressways in Shijiazhuang, Hebei's capital, and more than a half-dozen other cities there were temporarily closed, according to notices posted on the official microblog of the province's traffic police. In the central city of Zhengzhou, authorities ordered students from kindergarten through high school to stay home on Tuesday because of the smog. More than 300 flights out of the northern city of Tianjin were canceled Sunday due to poor visibility. Authorities have deployed teams of inspectors to check on polluting factories, reports said. China has long faced some of the worst air pollution in the world, blamed on its reliance of coal for energy and factory production, as well as a surplus of older, less efficient cars on its roads. Researchers at Germany's Max Planck institute have estimated that smog has led to 1.4 million premature deaths per year in China, while the nonprofit group Berkeley Earth in California has had a higher figure, 1.6 million.